Registration is now CLOSED for the 2018/2019 school year! The Mecca Center Sunday School 2018/2019 school year will begin on Sunday, September 9, 2018 and end on May 19, 2019. Orientation and placement for new students for the Sunday School 2018/2019 school year will be held on Saturday, August 18 from 12pm to 2pm at The Mecca Center! Please contact Principal Linda Hamadeh for more information at sundayschool@meccacenter.org. Tuition for the Mecca Center Sunday School 2018/2019 school year is $600. To register on-site, please download and complete the Registration and Authorization Form and submit it to Administrative Director, Sister Nasreen Amira, at the Mecca Center. Families requesting financial aid must register on-site. In order to ensure a spot is reserved for your child(ren), a $100 deposit minimum must be received for each child, in addition to completing the registration and/or scholarship forms, on or before September 1. Families who are not fully registered by September 1 will not attend the first day of classes Sunday, September 9. We will no longer be registering any students during school hours or accepting walk-ins. Online registration is also available for the Sunday School 2018/2019 School Year. Full payment is required for online registration. People registering online must also complete the Registration and Authorization Form and submit it to sundayschool@meccacenter.org. The Mecca Center offers Financial Aid to eligible families. 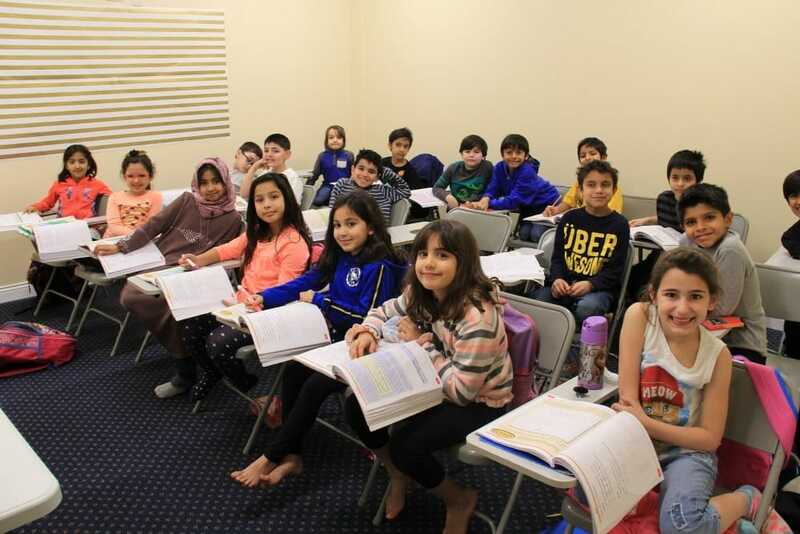 Please download and complete the Sunday School Financial Aid application then e-mail it to sundayschool@meccacenter.org or submit it to Administrative Director, Sister Nasreen Amira, at the Mecca Center. For more information or questions, please contact the Mecca Center Sunday School Principal Dr. Linda Hamadeh at sundayschool@meccacenter.org.